The Black Ops series has always been about hidden agendas and personal vendettas carried out under the cover of total war. More often than not, these shady dealings are perpetrated, in part, by the United States government, but Black Ops consistently stops short of any actual political commentary via a severe amplification of the stakes of said vendettas: as much time as Black Ops 2 spends recounting the history of the Mason/Menendez feud, the game is ultimately about America facing off against a seemingly insurmountable threat. As a result, the stories that the Black Ops series has to tell are largely regressive, racist and generally politically offensive: these are stories that draw on Cold War paranoia and Western iconography in equal measure, technophobic yarns that venerate the American soldier and the graphic violence that they enact . But what else would you expect when they’re written by the man who used some of the biggest blockbusters of the past decade to defend the Patriot Act and condemn the downtrodden for their frustration with Wall Street? Released from the neoconservative shackles of David S. Goyer’s pen, the Black Ops saga has been revitalized, with a capacity for reflexivity and self-critique that the entire Call of Duty series has lacked since the original Modern Warfare. 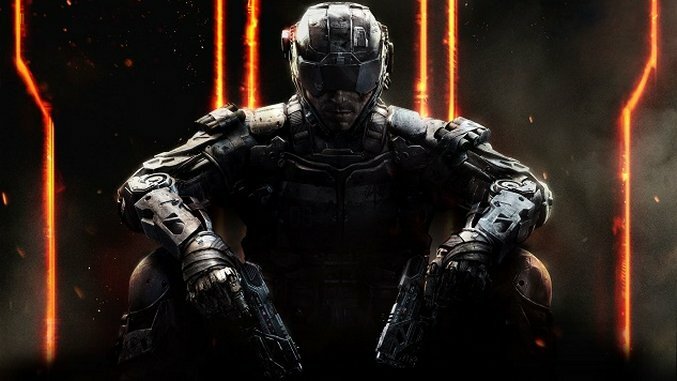 Treyarch has, once again, told a story about personal conflicts that play out on grand battlefields, but in moving the story further into the future (and further into science-fiction), the developers have given the political powers at play an intangibility that allows the small-scale personal conflicts to remain the story’s focus. There’s little mention of nations in Black Ops 3, only loosely defined collectives of governments and/or militaries that serve as a backdrop to the central plot; wherein the player, joined by their squadmate Jacob Hendricks, hunts down a squad of bio-augmented soldiers who have gone rogue after being infected with a mysterious AI that was found at the site of a CIA project, a project carried out under a corporate façade which involved human experimentation and caused the inadvertent death of 300,000 people. In fact, the CIA is the only explicit reference to the United States in the whole game: all of the major powers in Black Ops 3 are hidden behind acronyms like CIA, WA, NRC, SDP, 54i. The obfuscation feels intentional: the presence of these powers provide texture and a reason for the large-scale conflict that is Call of Duty’s native language, but the brevity of exposition these forces receive ensures that they remain on the periphery of the narrative. But despite the game’s general distaste towards explaining itself, the characters repeat one piece of information like a mantra: the CIA was involved in a project that killed 300,000 people. Black Ops 3’s implication of the CIA in this mass murder is the first legitimate criticism of the American government the series has ever partaken in, and it signals an exceedingly welcome change in the series’ sensibilities: Black Ops 3 takes a stand against its predecessors, and makes the claim that the secret operations of the CIA are (and always have been) profoundly immoral and destructive. But Black Ops 3’s implication of the CIA in mass death is but one facet of the game’s larger critique of the values of past Call of Duty games. Much has already been made of how the game addresses climate change , which one could argue serves as a critique of the rampant industrialism inherent in the military excess that past Black Ops games deified. But Black Ops 3’s most forceful critique of Call of Duty-s past comes in the game’s 8th mission, “Demon Within.” In this mission, the player enters with the direct neural interface (DNI, yet another acronym) of Sarah Hall, one of the rogue squad that you’ve been hunting, in the hopes of finding the location of Hall’s leader, John Taylor. What ensues is probably the most avant-garde sequence of any Call of Duty game (not a high bar, I know), wherein a ghostly Hall leads the player through a mindscape of the Battle of Bastogne. Hall explains to the player that as a student she researched Bastogne, citing it as “one of the greatest examples of courage and bravery in military history.” As Hall finishes speaking and beckons the player to follow her, the battle – which was previously frozen in time – resumes, and the player finds herself under fire from Nazis in a Call of Duty game for the first time in 5 years. The battle is not tonally consistent with the rest of the game. Instead, this artificial Battle of Bastogne plays out like vintage Call of Duty: one soldier half-heartedly “welcomes” the player to Bastogne with the casual flippancy that intentionally evokes the dreadful acting of Call of Duty circa 2003, and the battle is accompanied by a generic, vaguely heroic-sounding symphonic score that also wouldn’t feel out of place in a mid-2000s military shooter. At first glance, these aesthetic signatures of early Call of Duty titles seem to defy and pervert Hall’s description of Bastogne, as the performances and score only serve to reinforce the notion that this battle is taking place in a diegetic simulacrum: we are being confronted with the inherent falseness of Call of Duty, bearing witness to the way in which those early games so drastically failed to represent the struggles of real soldiers. But what we’re playing is exactly what Hall is describing. In his series-wide critique of Call of DutyNoah Gervais sings the praises of the early games in the franchise, celebrating the way in which those games supposedly honor the citizen soldiers of World War II, simple men who were called away to perform a task in service of their country, and did their duty admirably. What Gervais is describing is a cultural narrative that many media have perpetuated, and it is what we are seeing condensed in Hall’s Bastogne: a battle where every American soldier is one half John Wayne, one half Tom Hanks, and the killing is set to a string section that only wants to assure us that what we’re partaking in is heroic. This aural falsity is further reinforced by a visual/ludic falsity. As the player moves forward through the battlefield, small pockets of space seem to move backwards in time, resurrecting soldiers and reforming trees and rocks that were ostensibly blown apart in the actual battle. You’ll re-kill the soldiers who come back from the dead, for your amusement, but crucially, the terrain will remain intact. The warfare represented here is sanitized, precise and clean in a way that withholds the messiness and brutality of actual conflict. Even the bodies of your enemies disappear, lost to the ether of Hall’s mind, leaving only Call of Duty’s signature black bloodstains behind, which appear more like ash on the snow. This is what bravery looks like to past Call of Duty games, Black Ops 3 is saying: a sanitized, nostalgic glimpse of war that lies of the heart of modern pro-military conservatism. And as soon as Black Ops 3 confronts the player with this overtly false simulation of war, the game perverts and distorts itself, stripping away the music and isolating the player in a nighttime battle before the gameworld literally folds in on itself. Finally, in Black Ops 3’s most overtly reflexive move, the player is dropped into a remake of the original Nazi Zombies map from Call of Duty: World at War, and must fend off the horde while Hall makes peace with her own death. It’s a bizarre sequence that serves as the capstone of Black Ops 3’s chronicle of the gamification of World War II. This is somehow both the ultimate perversion of Call of Duty’s subject matter and the World War II shooter at its most honest: the pure resurrection of soldiers for the sake of violent entertainment. And as Hall finally accepts death and the horde ceases its attack, we watch as a nuclear bomb goes off in the distance. This quotation of one of the most profound images from Modern Warfare directly evokes its thematic significance: devastation at the end of military idealism. The destruction implied by the nuke manifests itself through the murder and total erasure of the player-character at Black Ops 3’s outset. At the end of the game’s first level, the player-character (who is unnamed) is brutally maimed by a combat mech, but is saved by John Taylor before she can bleed to death. She is placed in surgery to undergo life-saving bio-augmentation herself, during which Taylor interfaces with the player-character’s DNI so he can put her through a brief training simulation where she is meant to learn how to use her new combat abilities. What the game lightly implies (and the pre-mission scrawls, which are too fast to read, apparently state outright) is that the player-character dies during surgery, and the remainder of the game is something of a flashback, wherein the player-character lives out John Taylor’s hunt for a different rogue soldier: only here, the player-character takes the role of Taylor and Taylor is cast as the villain. The result is a Lynchian conflation of dream and reality that serves multiple rhetorical purposes. There is the obvious metaphor for the relationship of the player to videogame narratives: what is a player if not an invasive subjectivity injected into a pre-existing narrative? The casual brutality towards the player-character’s body and identity also acts as Black Ops 3’s final condemnation of Call of Duty’s perpetuation of the myth of the glorious soldier. In Black Ops 3, steel overcomes flesh, but an amalgamation of the two overcomes all. Taylor says to Hendricks in the game’s beginning that he and his augmented team are “built” to handle combat mechs. Throughout this opening level you witness astounding feats performed by Taylor and his squad, but they are not capable through natural ability: they are mythic soldiers literally constructed to be mythic, extraordinary because industry ordained that they be extraordinary. And ultimately this fabricated greatness consumes the player-character, her identity lost to history and to herself: Black Ops 3 is the story of a dying brain unable to comprehend its own meaninglessness. There’s a line spoken by your partner, Hendricks, near the game’s end: “For all the good we do, I just can’t see things in black and white anymore. There has to be a better way.” The tragedy of Black Ops 3 is that no one knows what that better way is. It’s a story of men, women and machines flailing widely in an attempt to preserve a world that’s already too far gone to save. It is a story of people realizing too late that before the world was destroyed by apocalyptic storms, it was destroyed by ideology. Justin Keever is a freelance videogame critic. He blogs at Virtual Narrative and can be followed on twitter at @JustAKeever.